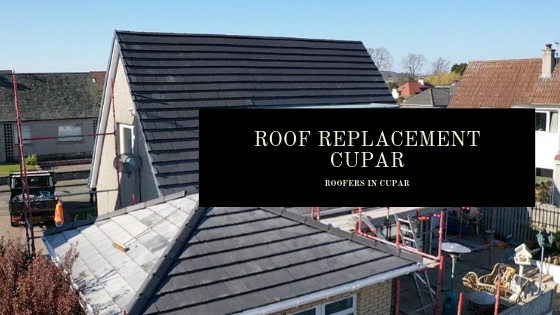 If you are looking for a reliable roofer in Cupar to carry out a roof replacement then you are on the correct page. 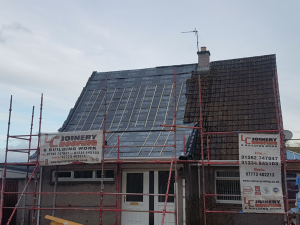 We deal with many customers from Cupar and surrounding areas, therefore you will know our work will be to the highest quality. Having your roof replaced gives your house that extra new look and will also increase the value. Most roofs can last a long time given proper construction and regular maintenance. Severe weather can have a negative impact on your roof’s longevity though. Do you have skylights, chimneys, pipes that need to be addressed in the installation? When replacing a flat roof, many property owners think they have to use the same type of roof material again. 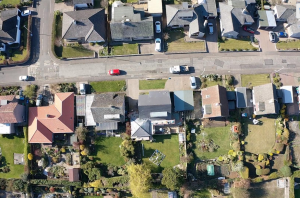 However, this is not always the case, as there are many different options that can be considered, such as asphalt, fibreglass, PVC and metal. 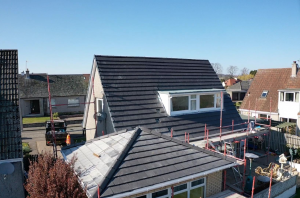 If you have found that your existing roofing material hasn’t been suitable for your needs, a professional contractor will be more than willing to provide you with advice regarding which of the other options will be most suitable for your property. Give us a call today on 01592 747047 where we can book in a visit to assess your roof. We will then provide you with a quotation which lasts for 1 year from date of quote sent out.